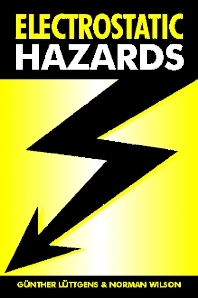 Electrostatic Hazards makes extended use of case studies to illustrate the principles being expounded, thereby making it far more open, accessible and attractive to the practitioner in industry than the highly theoretical texts which are also available. The authors have many years' experience in the area behind them, including the professional teaching of the content provided here. Günter Lüttgens is a widely acknowledged consultant who travels Europe providing training to major industrial corporations on this subject, whilst Norman Wilson practices what is written here in his professional capacity with the British Textile Technology Group.